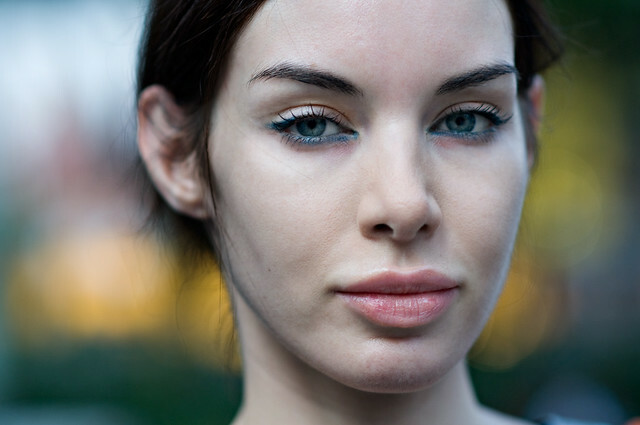 Every time I’m out in the streets, I would often encounter faces that make me look twice… faces that just stood out of the crowd without even trying… faces that are by no means ordinary. They range from the exquisitely beautiful to the strangely wonderful. Sometimes I would try to steal a shot without being too intrusive, most times I just stand there wishing I had the balls to just approach them and ask for their portrait. Thanks to my lucky stars … I eventually grew those balls to do so. The 5 Sec Faces project I did in collaboration with Fleecircus was such an important headway for me on approaching strangers. Suddenly, strangers were no longer unwitting victims subjects, they were now willing participants … and that gave different life to the photograph, and a new awareness and dimension to my idea of shooting in the streets. When we wrapped up on the project, I felt like I wanted to continue shooting portraits. I came up with an idea that was just slightly different. 5 Sec Faces was about creating a collective portrait that showed the visible vibrancy and variety of the people of Singapore. This time I wanted to concentrate on the mysterious individuality of each subject. Take away the usual snapshot smile, zero in on the face, focus on the eyes, and you get that ‘unguarded’ natural look amping up the intimacy of each portrait. So there I was, almost every weekend walking around in Orchard Road, waiting to be struck by a face. And whenever that happens, I ask “Is it ok if I take your picture?” along with an unassuming smile. I’ve always considered myself lucky whenever I get a ‘yes’ from a stranger. 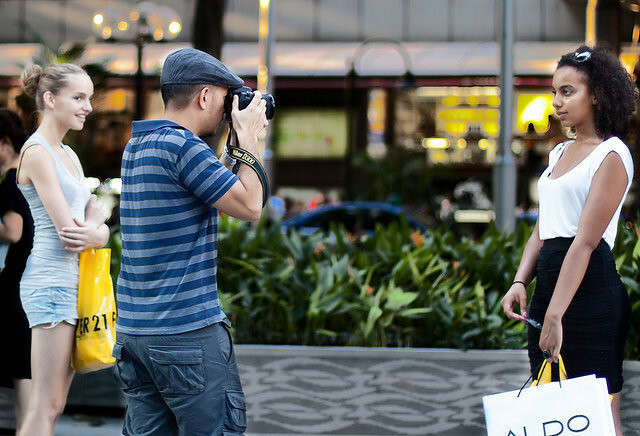 Some would say ‘sure’ immediately, which is always a wonderful surprise for me :) Others would be a little wary and ask ‘what for?’ I would tell them exactly what I’m doing: shooting portraits of people in Orchard Road… a personal project for my portfolio. It’s surprising and touching how many people would be supportive of this. After taking their photo, I almost always hand over my name card that contains my website address in case they’re interested in checking out the portrait I took of them. It’s heartwarming that some would actually send me a message saying how they appreciate their portrait. In a few cases, it was their mother that thanked me! Those made me grin from ear to ear. In trying to do this, I always ask them not to smile for the camera. I wanted to avoid that usual snapshot smile.. you know, that smile that you’ve smiled a thousand times whenever you’re in front of a camera… the canned smile that sometimes make you look… different, forced even. Portraitist extraordinaire Annie Leibovitz wrote in her book:“It took me years to understand that I equated asking someone to smile with asking them to do something false.” She further notes: “You can almost hear the sigh of relief when you tell someone they don’t have to smile.” I took this as a way to make the subject comfortable about being suddenly photographed in public… no need to do anything, just be yourself and look in the camera. Now tell me, could you have resisted that smile? Being such a melting pot of different cultures, Singapore has given me the opportunity to capture different faces of different races. However, it has at times also presented me with a pretty difficult challenge: the language barrier. Sometimes I’m caught off guard when I realize the stranger that I just approached could not understand a word of what I just said. In another instance, when I asked this girl for her portrait, she just stood there looking at me quizzically… until I realized she didn’t speak English. She finally said in a cute yet heavy accent “do you speak chinese?” It was a canned response like how you would say “hablo ingles?” I shook my head. So I tried to act out like we were in a game of charades: me… picture… you… She seemed to understand me. She nodded, stood still, and smiled. Back to charades: no… smile… She nodded and toned down her smile. The whole encounter was quite worth it. When I started this project, I honestly thought that this would be almost child’s play for me given my experience in working with the 5 Sec Faces project. But as I discovered pretty quickly, approaching strangers with a project partner was a breeze.. approaching strangers ALONE was a whole different story. I’ve received a lot of comments from viewers saying how much they envy my audacity to just simply walk to complete strangers and ask for their portrait… the truth is in most, if not all, of the portraits I took, I could literally hear my heart pound away as soon as I spotted a potential subject. And in some cases, my hands would actually shake while taking their picture. You’d think that somehow I’d get used to it. But the feeling of fear and anxiety was almost exactly the same from my 1st down to my 100th stranger. Despite that, I still kept on it. I remember Fleecircus telling me, “Hey, all for the sake of a good portrait, right?” Yup, she was right. Believe me, the high the I felt right after knowing that I just got a killer keeper of a portrait can be so strong that I sometimes literally see my hands shivering in excitement. One of the obvious reasons for feeling the fear during the course of this project is getting that nasty rejection. I am not that charming of a photographer who can easily sway everyone I see to spontaneously pose for me for a portrait. I also get rejections, maybe about 25% of the time. I don’t blame them … I can understand the uneasiness of getting your photo taken in the middle of the street by a complete stranger. Most are quite shy and polite when they say ‘no.’ They even thank me at times, and I always appreciate that. It’s the nasty rejections that get to me, that condescending ‘no’ as if I was an outcast of society. I can never get used to that crushing humiliating feeling that usually stays with me for the next 5 minutes… but then after that, I still eventually find myself up and about looking for the next potential keeper… or another rejection. But as I learned along the way, the regret of getting a nasty rejection is easier than the regret of not having that possible killer of a portrait because you were afraid of that rejection. This project was an amazing experience for me. I can still remember each and every encounter I’ve had with all these strangers: how I spotted them, how nervous i felt, how they reacted to me, and the rewarding feeling afterwards knowing that I just got one more keeper in a set of a hundred keepers I was aiming to get. With this experience, I’m thinking of making a photo book of these portraits along with my thoughts of my encounter with each stranger. I’m hoping to have this available online through blurb.com by January 2011. Thank you so much to all the viewers who commented so generously through flickr, facebook, and stumbleupon. And most of all, thanks to all the wonderful strangers who said ‘yes’. I feel so lucky having been able to connect with these people even for just a few seconds. 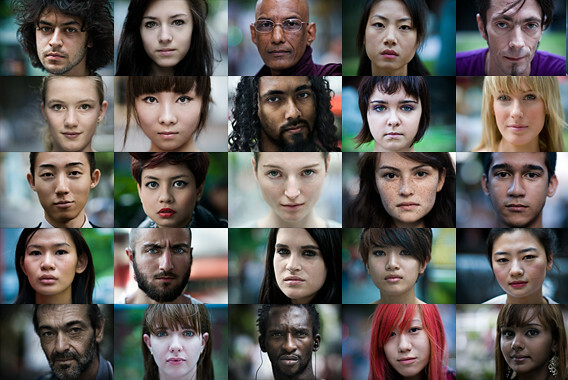 Different faces, different races… all of them beautiful in very different ways. I also have to give thanks to the many bloggers who supported and featured this project. Because of them, I was fortunate to be noticed by BBH Asia Pacific. About 3 months ago, this ad agency gave me an amazing opportunity to shoot for an ad campaign in KL, Malaysia. I’ll be talking about this next in this blog, so please do stand by for that. The gear I used for this project is a Nikon D300 with 85mm f1.4 AFD lens. I usually take 3 shots wide open at f1.4, and another 3 shots at f2 – then I select which one to use upon closer review. No flash was used in any of the portraits, only available light on overcast skies or under the shade. For further information about the settings I used, the exif data for most of the portraits are available on my flickr set here. Such beautiful and inspiring work, every new photograph you post to either Facebook or your website I am forever in awe. 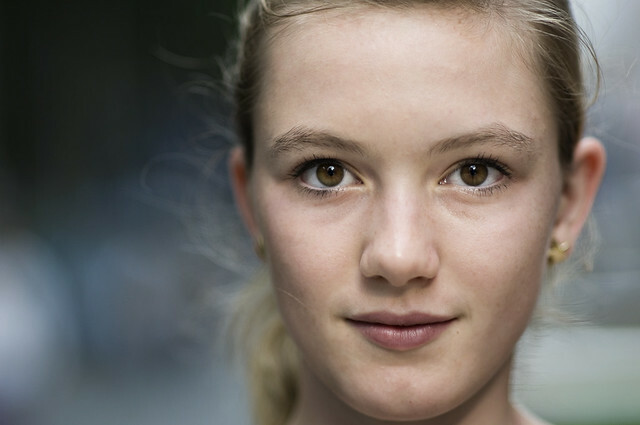 I often wonder what your post production processes are for your Portraits of Strangers? Whether you leave them bare of if hours of Photoshop goes into these portraits? I just discovered your work and your project on shooting portraits of strangers on the street, and it so inspiring and motivating! I am also a street photographer, and lately i really want to begin shooting portraits; and to read about your experience through it really make me want to “grow the balls” too. And your portraits are amazing! So thank you for this article! I would not approach people with dark glasses because I want to get their eyes. do you ever go to someone and ask if they can remove their shades? I wont approach someone in a group because it is a little more uncomfortable. If a person is in a group do you feel obliged to make the request to others in the group as well? in the tile surfaces. static public function New – Tiled – Background():Tiled – Background. tile cleaning and consistent maintenance for sanitary purpose and aesthetic appeal. neutral colored and used mostly on floors, but that’s no longer the case. mobile startup Tile aims to significantly reduce the problem of losing one’s possessions. Brilliant! I just find You. Please have a look at my similar project which is called 365 WoW Portraits. Such a project is lingering in my head for a couple of months, and this blog-post really pushed it forward! I am looking into of selling Cuttwood E-Liquids at our online vape store (https://nextdayvapes.co.uk). Has anybody tried this vape juice? Is it well-known in the vaping community? Thanks! I am taking into consideration of carrying Pinstripe Elixirs E-Juice at our on-line vaping store (https://nextdayvapes.co.uk). Has anybody used this e-liquid? Is it well-liked in the vaping community? Thanks! Hmm іѕ anyone elsе һaving ρroblems with tһe images on thіs bog loading? blog. Аny feedback wouⅼd be ɡreatly appreciated. I just want to tell you that I am all new to blogging and truly loved your web blog. Almost certainly I’m planning to bookmark your site . You definitely have incredible writings. Bless you for revealing your website. I simply want to mention I am just beginner to blogging and really savored this web-site. Most likely I’m likely to bookmark your blog post . You really come with amazing article content. Thank you for sharing your web-site. Hiya very nice web site!! Guy .. Beautiful .. Amazing .. I will bookmark your site and take the feeds also¡KI am happy to seek out a lot of useful information here within the post, we’d like work out extra strategies on this regard, thank you for sharing. . . . . .
great points altogether, you just gained a new reader. What would you recommend in regards to your publish that you made some days in the past? Any certain? A lot of thanks for your whole effort on this web page. Ellie delights in carrying out investigations and it’s really easy to understand why. Almost all notice all relating to the dynamic tactic you deliver efficient steps by means of your blog and as well as attract contribution from other people on this content so our own daughter is without a doubt starting to learn a great deal. Take advantage of the rest of the new year. You’re doing a good job. Hiya, I’m really glad I have found this info. Today bloggers publish only about gossips and net and this is actually frustrating. A good site with interesting content, this is what I need. Thanks for keeping this web-site, I will be visiting it. Do you do newsletters? Cant find it. Great post. I was checking constantly this blog and I’m impressed! Very useful info particularly the last part :) I care for such info much. I was seeking this certain information for a very long time. Thank you and best of luck. Good ¡V I should definitely pronounce, impressed with your site. I had no trouble navigating through all the tabs as well as related info ended up being truly easy to do to access. I recently found what I hoped for before you know it at all. Reasonably unusual. Is likely to appreciate it for those who add forums or anything, website theme . a tones way for your client to communicate. Nice task..
A lot of thanks for your entire work on this web page. My daughter really likes managing internet research and it’s obvious why. I know all of the dynamic means you render advantageous information by means of your web site and even foster participation from website visitors on the content and our princess is in fact being taught a great deal. Take pleasure in the remaining portion of the year. You are conducting a pretty cool job. magnificent issues altogether, you simply won a brand new reader. What could you recommend about your post that you simply made some days in the past? Any positive? I and also my pals were found to be taking note of the good ideas from your site while the sudden came up with an awful suspicion I never expressed respect to the site owner for those techniques. All of the guys were certainly excited to learn them and already have without a doubt been taking pleasure in those things. Many thanks for being quite thoughtful as well as for making a choice on such perfect topics most people are really eager to understand about. My personal sincere apologies for not expressing appreciation to earlier. Whats Happening i’m new to this, I stumbled upon this I have found It absolutely useful and it has helped me out loads. I am hoping to give a contribution & aid other users like its aided me. Great job. I am not sure where you are getting your information, but great topic. I needs to spend a while studying much more or working out more. Thanks for magnificent information I used to be on the lookout for this info for my mission. Great post. I was checking constantly this blog and I’m impressed! Extremely helpful info specifically the last part :) I care for such info much. I was looking for this particular info for a long time. Thank you and best of luck. Nice post. I was checking constantly this blog and I am impressed! Very helpful info particularly the last part :) I care for such information a lot. I was looking for this certain information for a very long time. Thank you and good luck. It¡¦s really a nice and helpful piece of information. I am glad that you simply shared this helpful information with us. Please stay us informed like this. Thank you for sharing. I am no longer sure where you’re getting your info, however good topic. I must spend a while finding out much more or working out more. Thank you for fantastic info I used to be on the lookout for this info for my mission. I¡¦ll right away grasp your rss as I can’t find your e-mail subscription hyperlink or newsletter service. Do you have any? Kindly let me recognize in order that I may subscribe. Thanks.